Hello and welcome to my blog! 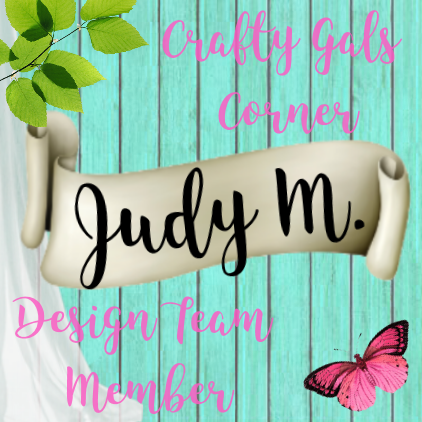 I want to share with you the first ever Createful Heart Digis & Designs Blog Hop November 30th-December 13th, 2017! I'm so glad you decided to drop in! 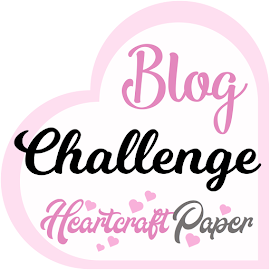 I hope that you'll not only join in on the Blog Hop, but also the current Challenge #7! 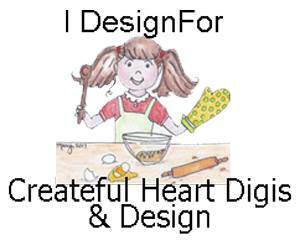 Just post your entries at the Createful Heart Digis & Designs Challenge Blog! 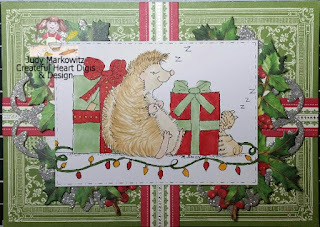 The theme for this challenge/blog hop is CHRISTMAS. Each Challenge has an Overall Winner and Top 3. But wait! There's more! There's a Blog Hop Door Prize Winner! The winner will receive a 20% Coupon toward any digi purchase of $10 or more in the Createful Heart's Etsy Store. 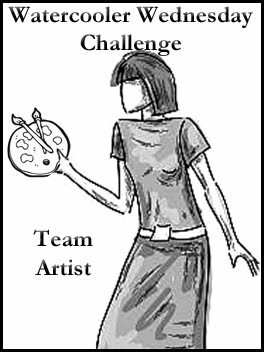 The Date of this Blog Hop will run with the duration of the current Challenge, November 30th through December 13th, 2017. 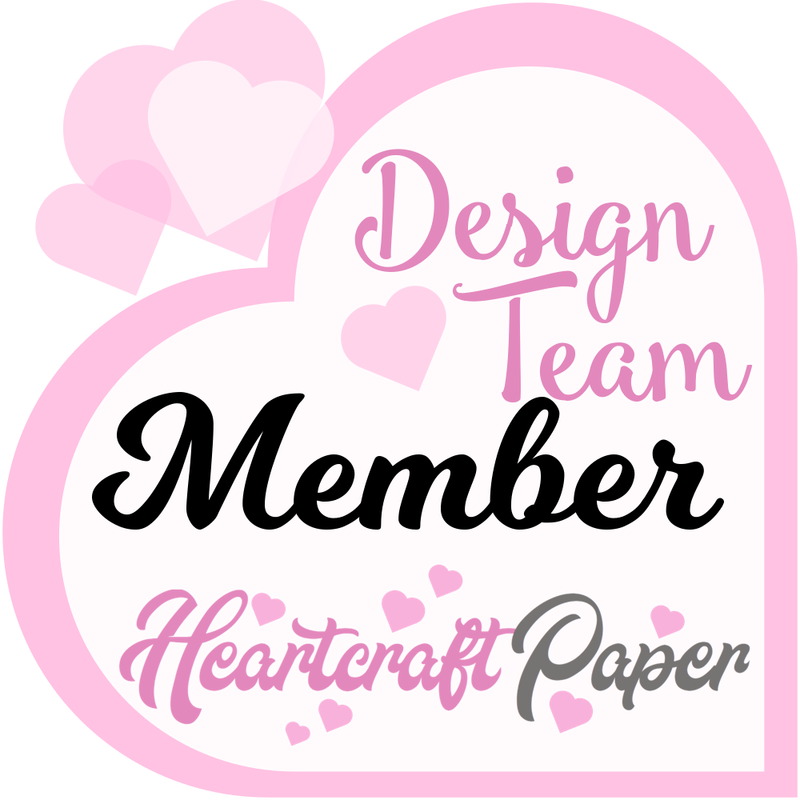 Now here is the list of our Design Team Members for you to “hop on over to”! Now let me show you what I created for Challenge #7/Blog Hop! 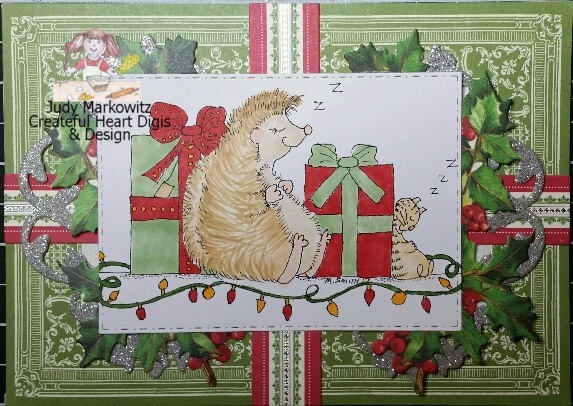 This adorable image is called It's A Wrap (Hettie Hedge Hog) Christmas stamp and you can find it here. This adorable image has been colored in with Copics. Such a fun image to play with! Okay, there you have it friends! Be sure to hop around and also get your Christmas card entered into the challenge! Have fun with it!